ProKalm a unique formulation that acts rapidly in as little as 30 minutes with the effects lasting up to 8 hours. At low intake ProKalm is perfect for “taking the edge off”. At moderate and high intake, ProKalm is suitable for more demanding situations. 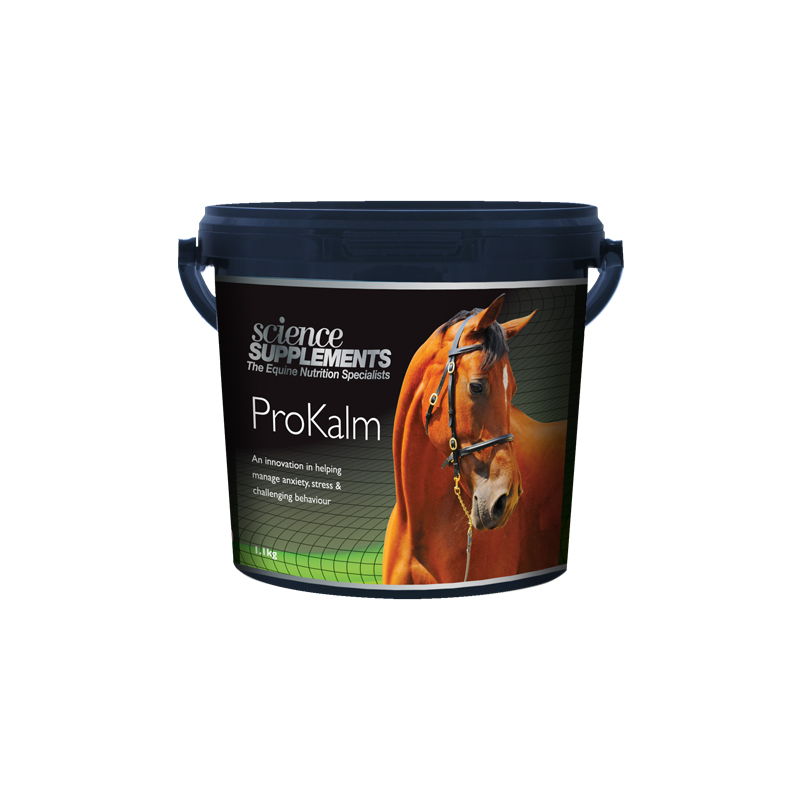 ProKalm products are designed specifically to treat stress and anxiety in horses and ponies. Anxiety in horses can reduce performance and make them to be difficult to handle. Stress can lead to a lack of concentration as well spooking, bolting, crib biting and box walking. ProKalm contains a blend of Herbs, Amino Acids and Rice Flour. It does not contain Magnesium, Tryptophan or Valerian. The effects of ProKalm syringes may be seen in as little as 30 minutes. Peak effects are usually observed 2-4 hours after feeding. The effects of ProKalm syringe are more predictable and consistent when used in conjunction with feeding ProKalm powder twice a day with feed. Split the dose between 2 meals. Start with the minimum feeding rate, and increase or decrease as necessary after 2 days. For difficult behaviours the effect may take 2-3 days to stabilise. The effects of ProKalm are more predictable and consistent when it is fed regularly twice a day.